“I don’t think I’m ready for an executive leadership role,” the 42-year-old coaching client said to me on the phone. 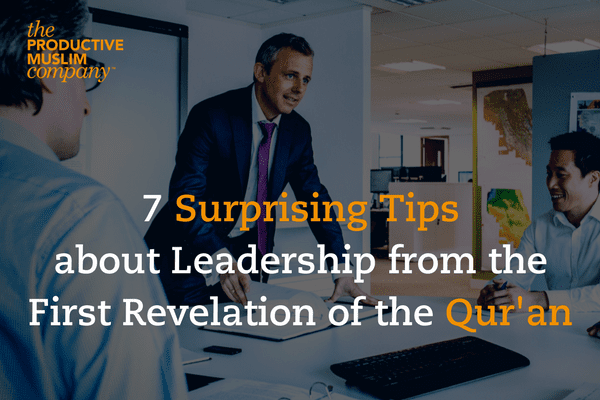 Have you ever been in a position where you’ve been asked to lead a team, an organization, or a company, and your instinctive reaction is that you’re not ready for it? If you have, then this story from the Islamic tradition might help ease your distress: it is the story of Prophet Muhammad when he received the first revelation of the Qur’an. 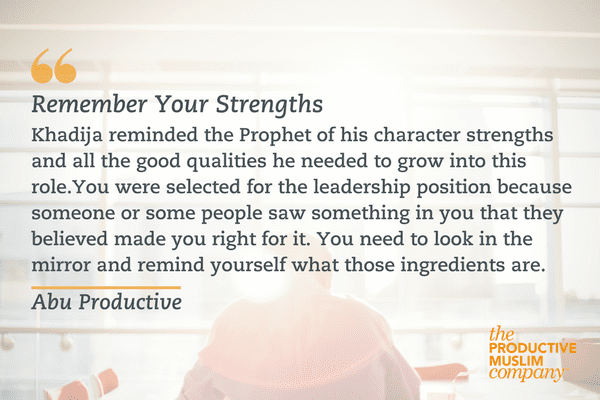 Khadija reminded the Prophet of his character strengths and all the good qualities he needed to grow into this role. You were selected for the leadership position because someone or some people saw something in you that they believed made you right for it. You need to look in the mirror and remind yourself what those ingredients are. 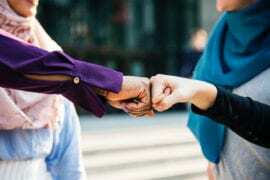 Meet people who understand what this role entails and ask for their advice, just as the Prophet and Khadijah sought the advice of Waraqa Bin Nawfal in Mecca. The Prophet was blessed with angel Jibreel (Gabriel) as a mentor to teach him the Qur’an and how to pray. 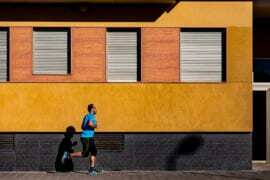 Get a mentor for your role, perhaps even an executive coach. Let them give you the support you need as well as challenge you to grow into your new role. 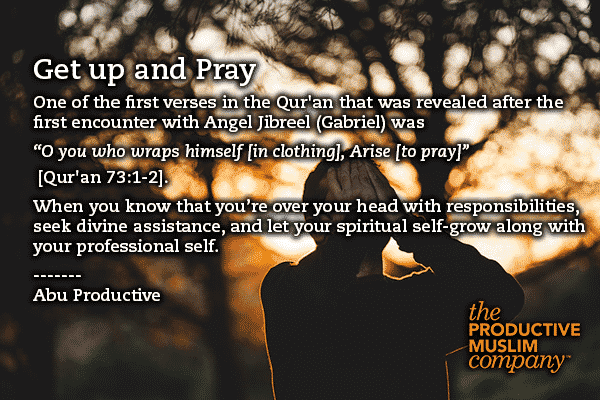 One of the first verses in the Qur’an that was revealed after the first encounter with Angel Jibreel (Gabriel) was “O you who wraps himself [in clothing], Arise [to pray]” [Qur’an 73:1-2]. When you know that you’re over your head with responsibilities, seek divine assistance, and let your spiritual self-grow along with your professional self. Don’t expect to be the perfect leader from day one. You need time to practice a new set of skills and grow into your role. Prophet Muhammad took three years before he publicly announced to his people that he was the Messenger of God and they should follow him; he spent all that time contacting people in secret and building a network of support. Back to the 42-year-old coaching client on the phone who told me he wasn’t ready. After an hour of coaching, he realized that it was okay to feel uncomfortable and that it shouldn’t stop him from at least exploring the role and seeking professional help to succeed in that role. He had it all in him, just like you do. What are YOUR worst leadership fears, and what do you think you need help with? share with us in the comments.